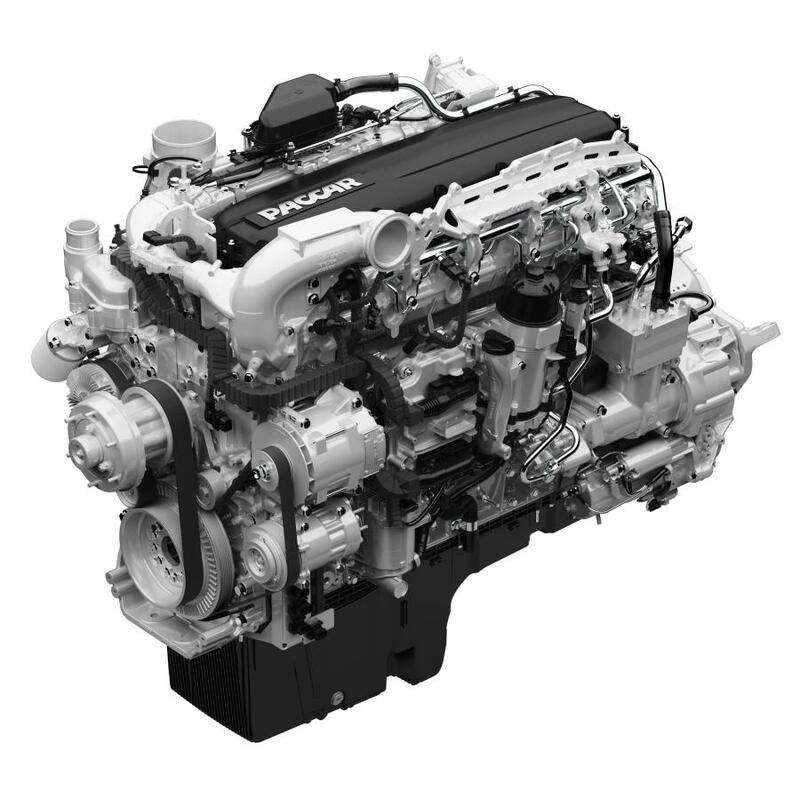 The PACCAR MX-13 engine now offers ranges of 405 to 510 hp and 1,450 to 1,850 lb-ft of torque. Kenworth has added two new ratings for the 12.9-liter PACCAR MX-13 engine available for the Kenworth T680, T880 and W990. The PACCAR MX-13 engine brings efficiency and flexibility together into one, high-performance solution. The first new rating of 405 hp and 1,650 lb-ft of torque provides constant power for line haul applications, enhances integration with the PACCAR Powertrain, and offers increased fuel efficiency. The second is a multi-torque 455 hp rating with 1,650/1,850 lb-ft of torque that is optimized for fuel-conscious heavy haul fleets and truck operators. This rating provides additional torque in the top two gears while pulling a load up a hill, eliminating the need to downshift. 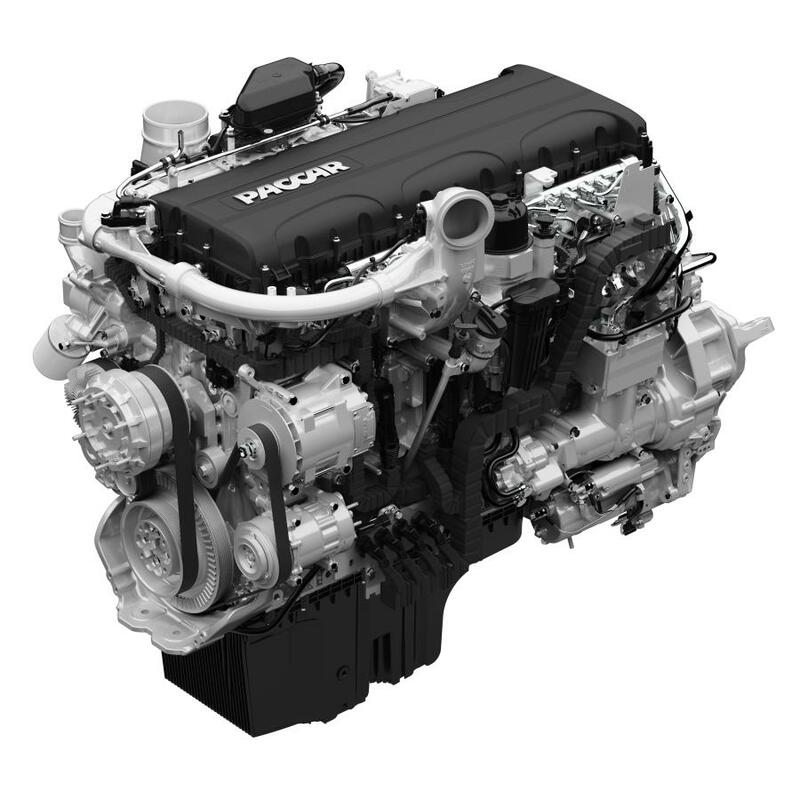 As a result, the PACCAR MX-13 engine now offers ranges of 405 to 510 hp and 1,450 to 1,850 lb-ft of torque. "These new PACCAR MX-13 ratings provide enhanced fuel efficiency and lower operating costs for our customers," said Kurt Swihart, Kenworth marketing director. In addition, Kenworth now offers a variable speed fan clutch as on option for the 10.8-liter PACCAR MX-11 engine for the Kenworth T680 and T880. The clutch maximizes engine power to the drive axle, helps prevent under- and over-cooling in all climates, and provides faster warm-up and more efficient air conditioning. The PACCAR MX-11 engine features superior performance, a powerful and lightweight design, and ranges of 355 to 430 hp and 1,250 to 1,650 lb-ft of torque. "The PACCAR MX engine series has a B10 design life of one million miles in line haul applications. This means 90 percent of PACCAR engines will log up to one million miles without a major overhaul, almost double the life of a comparable engine," Swihart said. "The PACCAR MX engine series has been well-accepted by fleets and truck operators in the United States and Canada since introduction nine years ago." For more information, visit www.kenworth.com.